It was March 30, 1943, the world was at war, and although the calendar declared it to be spring, snow began falling over New England as a weather system blew in from upstate New York. Although it had been expected, it was underestimated, and left war casualties, sadness, and two unsolved mysteries in its wake. This is a story that won’t be found in history books; a forgotten footnote eclipsed by grander world events that I discovered when a tiny news item about a missing navy airplane caught my eye as I sifted through microfilm at a local library. Intrigued, I dug further, and learned that the missing plane was only a small part to a much larger story. Even before the snowy weather set in, lowering thick clouds indicated what was coming, and by mid-morning had dropped to 4,000 feet. But there was a war on, and pilot training necessarily included flight instruction in all types of conditions. As such, events for that day began to unfold at 10:45 a.m. over Bozrah, Connecticut, a town just west of Norwich, where a formation of four British naval aircraft out of Quonset Point were on a routine training flight. One of those planes was piloted by 19-year-old Midshipman, Raymond Clarke of Nottingham, England, and his instructor, 21-year-old Sub-Lieutenant Donald F. Dillon of New Zealand. While over Bozrah, their plane developed engine trouble possibly due to carburetor icing. Flying beneath the low clouds, they were too low to bail out, and subsequently crashed in a wooded area where the resulting explosion killed both men. While authorities investigated the wreck in Bozrah, the aircraft carrier U.S.S. Ranger steamed towards Boston off the coast of Massachusetts, on its way to the Boston Navy Yard for re-fitting. 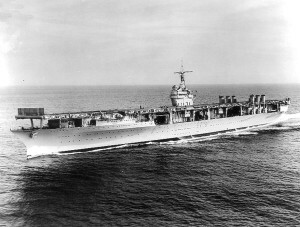 Prior to its arrival, the ship‘s complement of thirty aircraft were being sent inland; their ultimate destination Quonset Point, R.I.
Ranger’s planes began taking off at 3:25 p.m., but what nobody aboard realized was that the weather system had moved across the area faster than anticipated, and once the aircraft neared shore they found themselves in thick overcast that began 200 feet off the ground and extended upwards to 7,000 feet. As visibility dropped to zero, the weather began affecting radio communications, and inevitably the aircraft became scattered. It’s likely that at first the men weren’t too concerned, for all were experienced combat pilots. Yet Lt. Lukes M. Boykin knew there was something wrong with his aircraft when he tried to lock the air control lever in the “alternate” position and it wouldn’t stay there. Placing the control in this position was necessary to prevent ice forming in the carburetor, so he held it in place with his right hand and flew with his left. Despite his efforts, the engine began running rough, and then lost all power, forcing him to ditch in the icy water off Swampscott, Massachusetts. As the plane began to sink, Boykin and his radioman H.H. Reed, scrambled into an inflatable life raft, and were rescued a short time later by a Coast Guard boat from nearby Winter Island. Meanwhile Lt. Theodore A. Grell, was experiencing engine trouble with his airplane while passing over a rural section of northern Fall River, Massachusetts. As the plane quickly lost altitude he knew a crash was inevitable, and bailed out even though he was now below a safe altitude to do so. His chute had only half opened when he crashed into the top of an apple tree which miraculously broke his fall. His plane crashed and exploded about a half-mile away. As he lay there seriously injured in the falling snow, he was probably amazed to be alive. Before long local residents came to his aid, covering him with blankets until an ambulance took him to Truesdale Hospital. As Lt. Grell was on his way to the hospital, three other Ranger pilots were also in trouble. Lt. (Jg.) Charles V. August, Lt. Keene G. Hammond, and Lt. (Jg.) Dee Jones, had managed to stay together, but came to the realization that they were lost. With no visual reference points, they had inadvertently veered off course and were now heading over western Massachusetts towards upstate New York. At about ten miles west of Poughkeepsie, N.Y., they found themselves running low on fuel over the small town of New Paltz, and began circling for a place to land. With no airport in sight, the pilots were forced to try for a rough landing in an open field. Lt. Hammond came in first and made a “pancake” landing with his wheels up causing minor damage to the plane, but was uninjured. The next to land was Lt. August who managed the same feat. The landings were noticed by two civil defense aircraft spotters stationed in an observation tower, who dutifully notified authorities. As townspeople rushed to the scene, Lt. Hammond called for shovels and efforts to free Lt. Jones were begun. Once he was extricated, the people opened their hearts and homes to the airmen, offering them a nights lodging, which they graciously declined, for their duty was to remain with their aircraft. Yet another Ranger pilot, Lt. Arthur J. Cassidy, of Cranston, Rhode Island, was also in trouble. 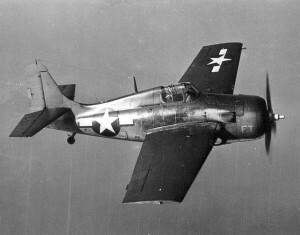 He was last seen in his Wildcat fighter over Attleboro, Massachusetts, and by the end of the day he was declared “missing”. As the search for Lt. Cassidy was begun, remnants of foul weather lingered into the following day. 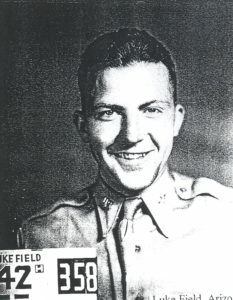 On the afternoon of the 31st, army 1st Lt. Daniel H. Thorson took off from Mitchell Field, Long Island, in a P-40 fighter plane bound for Bradley Field in Windsor Locks, Connecticut. When he failed to arrive, he too was declared “missing”. The flight left in two sections, each section containing two planes each. The first section, consisting of Ensign Robert G. Carlson, and Ensign Herr, dropped to an altitude of fifty feet as they crossed Long Island Sound, presumably to get under the low cloud ceiling for better visibility. Suddenly Ensign Carlson’s aircraft banked sharply and disappeared. (His body was later recovered on a Long Island beach.) Ensign Herr continued onward and landed safely at Quonset Point. The second section consisting of Lieutenant Ernest C. Houck, and Ensign Leonard E. Byrer, also met with tragedy. Ensign Byrer was killed instantly when he crashed near the Bell Port Coast Guard Station on Long Island. His body was recovered and sent home to Terre Haute, Indiana, for burial. Lieutenant Houck simply disappeared and was never seen again. On April 2, the Ranger left Boston for Argentina, and once safely out of port she began to recover her planes. The storm had made for rough seas, which led to further accidents. Lieutenants George C. Simmons, and Allen H. Thurwachter, damaged their planes with “hard-deck” landings, but both survived. As the Ranger resumed the war, the search for Lt. Cassidy was ending its third day. Both he and his Wildcat fighter (# 11740) had seemingly vanished while over land without a trace. Naval authorities appealed for help through the media, and many witnesses came forward claiming to have seen a plane in trouble, but whether it was actually Lt. Cassidy’s is open to interpretation. Despite a wide spread air and ground search that eventually extended into northern Rhode Island, no trace of Cassidy or his plane was ever found. 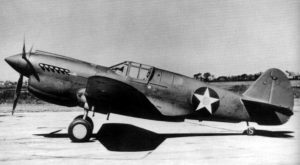 Meanwhile in Connecticut, the Army was conducting its own search for Lt. Thorson’s missing P-40, with negative results. It wasn’t until April 24th that two Yale Forestry School students conducting a timber survey discovered the wreck of Thorson’s plane on Blackberry Ridge in Norfolk, Connecticut. Investigators were quick to surmise what happened. The cloud ceiling for March 31st had been 1400 feet, and the crash site was at an elevation of 1571 feet. Lt. Thorson probably never saw the mountain. As the war effort increased, these localized incidents were quickly forgotten, and the late winter storm became a distant memory. Some of the pilots mentioned in this story were destined for bigger things. Others wouldn’t survive the war. Lt. Lukes Boykin, who splashed down off Swampscott, was later promoted to Commanding Officer of Fighting Squadron 4 aboard the aircraft carrier USS Essex. Lt. Theodore Grell, who went down over Fall River, survived his injuries, but this wasn’t his first brush with death. He’d previously survived being shot down over North Africa in 1942 during Operation Torch. He survived the war, and retired from the navy as a captain. Lt. (Jg.) Charles V. August, who landed in New Paltz, N.Y., had also survived being shot down during Operation Torch. Research indicates that after the war he moved to California. Lt. Keene G. Hammond, another New Paltz pilot, was later promoted to Lieutenant Commander, and became commanding officer of Fighting Squadron 4 before Lt. Boykin took over. Lt. Cmdr. Hammond was killed when he was shot down January 6, 1945, eight miles south-west of Vigan, Luzon. Lt. (Jg.) Dee Jones, the third New Paltz pilot, was also a combat veteran of Operation Torch. He was killed May 4, 1943, when his plane crashed during gunnery training. Lt. George C. Simmons who crash landed on Ranger April 2nd, later took part in the sinking of a German freighter in October, 1943. He made it safely back to the carrier with his aircraft shot full of holes. Lt. Allen H. Thurwachter who also crash-landed on Ranger’s deck April 2nd, died a few months later on October 19, 1943, while participating in search and rescue operations for two missing navy airplanes that left Martha’s Vineyard for a training flight. His radioman/gunner, ARM1c Bradley E. Hunter was also killed. The bodies of Midshipman Raymond Clarke and Sub-Lieutenant Donald Dillion, both killed in Bozrah, were buried with full military honors in Newport, R.I. The body of Lt. Daniel Thorson, killed when his P-40 crashed in Norfolk, Ct., was sent home to Great Falls, Montana, for burial. In 2003, the citizens of Norfolk, remembered the 24-year-old’s sacrifice and erected a memorial at the crash site. The enduring questions left in the aftermath of this storm are what became of Lieutenants’ Houck and Cassidy. Houck was presumed to have gone down in Long Island Sound, but Cassidy had disappeared while over land. Why then, was he never found? One possibility is that he went down in a remote area, perhaps rural western Massachusetts, Vermont, New Hampshire, or even upstate New York, and his plane disintegrated on impact. Another theory is that he went down over water, possibly in a lake, or a reservoir. Perhaps, someday, the mystery will be solved. Hope of solving that mystery arose in July of 1958, when a New Bedford fishing boat snagged its nets on the wreckage of a World War II navy fighter off Martha’s Vineyard. Divers hired to inspect the boat’s propellers also dove on the wreck and found human remains inside. A newspaper story about the find stated in part; “The Quonset public information office said it has had one inquiry from a man who said a member of his family was lost during World War II, supposedly on a flight to Quonset from his carrier.” Follow up research was unable to uncover more information other than the fact the aircraft recovered was a navy Hellcat, and not a Wildcat of the type flown by Lt. Cassidy. What makes the case of Lt. Cassidy even more tragic is the fact that he was married only thirty days before he disappeared, and was looking forward to spending some time with his new bride at their home in Cranston. She lived the rest of her life never knowing what happened to him. This Memorial Day, please take the time to thank a veteran. Attleboro Sun, “Blimp In Search For Lost Plane”, April 2, 1941. Milwaukee Sentinel, “1 Dies, 2 Lost On Flights”, October 22, 1943. Town of Bozrah, Ct., death records.